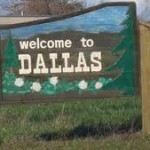 Are You Thinking About Moving To Dallas? To say that the state of Texas is big is an understatement. Texas is huge, and it has gotten a reputation for the word big. Everything in Texas is bigger than anywhere else. It can take as long as two days to drive from one part of Texas to another. It is the second largest state in the United States, and the city of Dallas is the third largest city in the state. It is also the ninth largest city in the entire country. Dallas is part of a tri-city area that also includes the cities of Forth Worth, and Arlington. This entire area has a population of over six million people, and Dallas is home to more fortune 500 companies than any other part of the country. Dallas can be a great place to live, and it can be an even better place to find an excellent job and raise a family. Dallas has an excellent central location. It is right in the middle of the country. Making a trip to the East coast is just as simple as making a trip to the West coast. Making a trip to one of the Northern states is just as easy as well. This great central location is just one reason that many companies have their shipping warehouses located in Texas. The city of Dallas is currently experiencing some excellent growth, and the current real estate market is primed for buyers. It is a really good time to get in, and purchase some property while the prices are still low. If you are thinking about making the move to the big city of Dallas, here are some tips that will help your move go over without a hitch. The very first thing that you are going to need is a moving quote. You need to know exactly how much it is going to cost to make the big move. At movers.net, we make this often cumbersome task easy for you. You can fill out one simple form and receive several moving quotes in a very short amount of time. This great time saving feature will let you take some of the other necessary steps towards making the move. Once you get your quotes, it is simply a matter of choosing which moving company is the best choice for your unique situation. People move every single day, but everyone’s situation is a little different. Make sure that the moving company you choose can handle the job. Don’t make the mistake that everyone else always makes. Don’t start packing right away. You need a plan of action. You need a list or some sort of structure to your move. Jumping into packing head first is just a recipe for disaster. Don’t make this mistake. Take a little bit of time to properly plan out your entire move. This will help prevent any mistakes. Movers.net makes finding an affordable, dependable moving company so much easier. Our easy to use moving quote form will help you save loads of valuable moving time.